WOW. That pie looks awesome! I love bananas and toffee but have never seen it in a pie. So good! 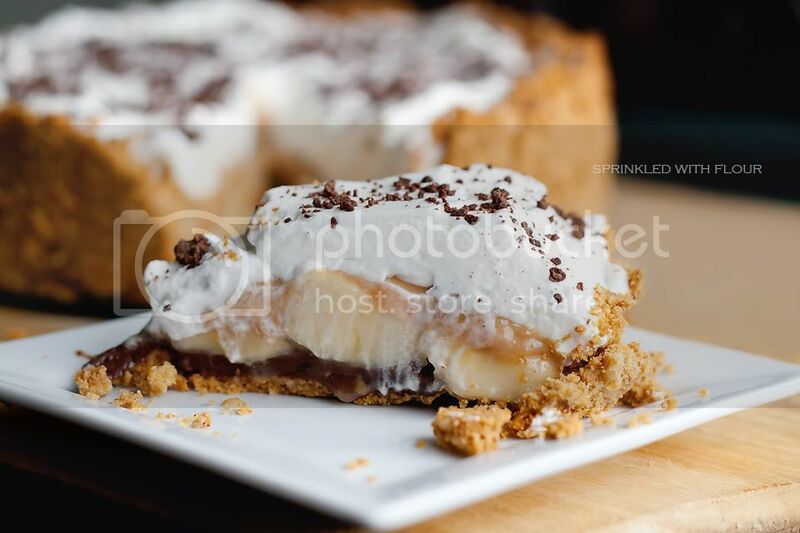 My mom makes a great banoffee pie but this one just looks wow, I'm going to be trying this one out! This does look like a better recipe than I have for banoffee pie, I will need to switch them out. Your picture is mouthwatering-Yum! This is so beautiful!! AND it looks delicious!!! Looks delicious... beautiful photos, too! Your post was worth the wait, this looks amazing! I forgive! I FORGIVE!! ;) Looks amazing! How absolutely delicious looking, so gorgeous! What a work of art! I am not a banana lover BUT OH would my husband love this dessert! Looks beautiful! OMGGGGG!! !your recipes are really great!!!! I'd love to see your work on portraits and other photography. I am trying to branch out and learn some new skills myself. 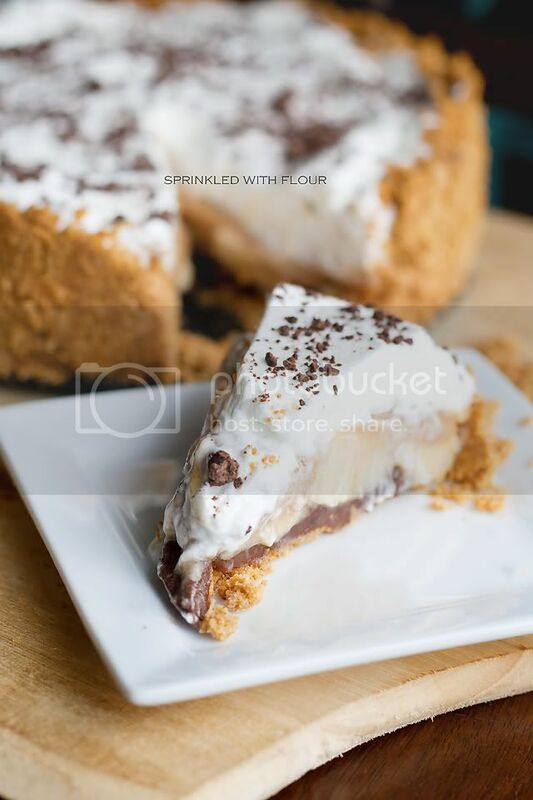 Just made your chai pie the other day and LOVED it. This pie looks equally as delicious and beautiful! mmmm that looks really really good! I'm saving this recipe now! yum! Beautiful pictures and what a amazing recipe! This looks amazing! I cant wait to make this! Banoffee reminds me so much of England. Mmm the pie looks fabulous! Congrats on top 9! I have always wanted to try banoffee pie! Yours looks delicious! This pie is lovely! Yum! And I am always in awe at your gorgeous photos! this looks so good. I wonder if you can omit the walnuts. My son is allergic. 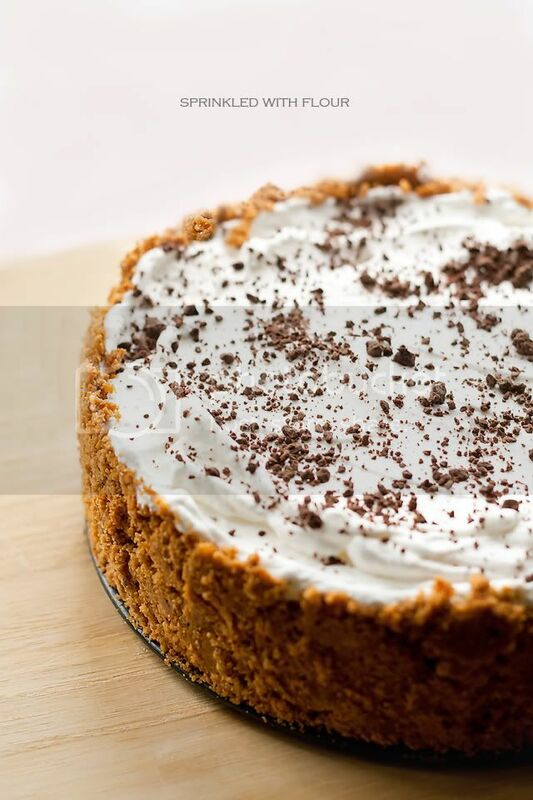 Love Banoffee pie. The presentation is so tempting and beautiful. I love your blog background. I made this for a dinner party we hosted last night and it was a huge hit. One question...is there a trick to keep the toffee from getting soupy? The pie initially sliced well, but I didn't put it back into the refrigerator immediately after slicing. About 20 minutes passed and all the toffee oozed out into the base of the serving plate, taking the whipped cream with it. It completely fell apart. I googled tips for making banoffee pie and the only thing I found was to serve it all immediately. Any suggestions? I'd love to make this again. Is your toffee getting really thick in the first place? It should be pretty thick, a bit thicker than pudding, and it should be cooled quite a bit before pouring it over the banana layer. I'm not sure why yours would thin out like that, I've not encountered that problem before. You could also try chilling the pie, I actually prefer to eat mine cold. It keeps very well in the refrigerator. Thanks, Amber, for your response. The toffee was reasonably thick...I stirred it in the can and was able to slowly pour it over the banana mixture. I didn't need to spoon it out, though, if it should have been thicker. I let the sweetened condensed milk boil in the water for nearly 3 hours and it cooled for over 12 hours before I made the pie. Also, I refrigerated it for a good 5 hours before I served it. Not sure what I did wrong, but I have to say, if I'm gonna goof the recipe and cause a soupy mess, what a delicious soupy mess :) Thank you for sharing this recipe! Hello Amber: I see this pie so often on the Aussie sites I visit. Please could you tell me how to subscribe to your post via email? I am not on facebook or twitter or any of the others. That's fun that you are perfecting photography. You did really well in this blog post. You can subscribe to my posts through the link on my right hand side bar. Right above my foodgawker badge there is an area that you can subscribe. Thanks for visiting! Can I make this a day before Thanksgiving and keep it in the fridge? Or is it meant to be served right away? Oh my goodness! I love this! yum! This looks like my favorite kind of dessert! And so easy too. Can't wait to try it!